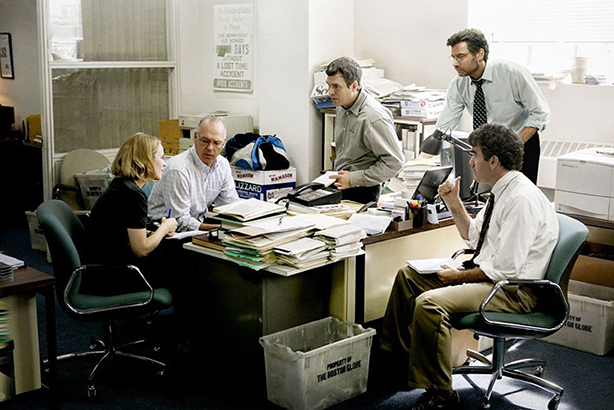 The International Consortium of Investigative Journalists (ICIJ) has told PRWeek that it in part credits Oscar-winning film Spotlight for increasing interest in its leak of the Panama Papers, and in the journalistic methods it used to bring the stories into the public domain. On Sunday, media across the world began to report the findings of an ICIJ-led investigation into widespread tax avoidance, including by more than 140 politicians and public officials, revealed in a huge leak. More than 11.5 million files from the Panamanian law firm Mossack Fonseca, dating back four decades, had been made available to the ICIJ in what the consortium called "the largest leak in offshore history". Those implicated – which include the late father of UK Prime Minister David Cameron – have since faced varying degrees of criticism and been forced to respond to the allegations. Will Fitzgibbon, a reporter at the Washington, DC-based ICIJ, who has previously worked for The Bureau of Investigative Journalism in London, told PRWeek yesterday (Tuesday) that the ICIJ operated as a "consortium of equals". He said that the analysis of the leaks was carried out by more than 400 journalists at more than 100 ICIJ partner media outlets globally. He said while findings had been published on the ICIJ website, it was down to those individual outlets, and other media, to report the news in their own chosen way. Asked what had most surprised him about the way the news had been reported, Fitzgibbon said: "I think we’ve probably been a little bit surprised by the extra interest in not only the content, but in the collaborative approach and the form of journalism." "Someone called it the 'Spotlight effect'," he said, referring to the Oscar Best Picture-winning retelling of the Boston Globe's investigation into child abuse by Catholic clergy. "After the film, there has been a renewed interest in investigative journalism, just when we're all being told investigative journalism is dead." He said a number of colleagues had done broadcast interviews and there had been substantial media interest in the ICIJ itself. Fitzgibbon also said his eyebrows had been raised by the impact of the news in Iceland – the country's PM yesterday stepped down following anger and protests over the reports of his family's involvement in offshore tax avoidance. "We never knew how big an impact the reporting on Iceland would become; everyone has been wowed by the size of the protests there," said Fitzgibbon, who was speaking shortly before news of the PM's resignation. "Were we a little surprised by the Kremlin coming out in advance of the story? Maybe," he added, referring to the Russian leadership being quick to call allegations against Vladimir Putin an attempt to "destabilise" the Russian president. He also said he felt satisfaction at seeing the story have an impact across the world, citing strong, prominent coverage in Nigeria's Premium Times as one such example. On Twitter, he has praised "brave" journalists in countries including Syria and Tunisia for their reporting of the story. Fitzgibbon said a few more reports were still to be published on the ICIJ website.